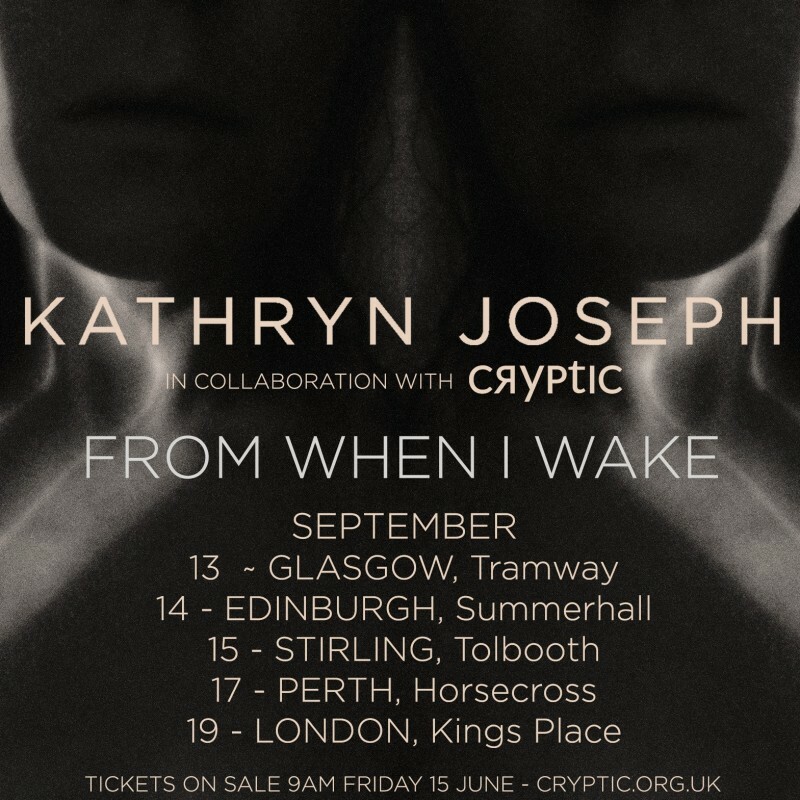 Kathryn Joseph is very excited to announce that she will collaborate with acclaimed Glasgow-based company Cryptic in a poignantly staged run of very special live performances of 'From When I Wake The Want Is’ this September. 'From when I wake' is an intimate and raw portrait of Joseph’s secret world. The music, produced by Marcus Mackay, is visualised by the intimate and provocatively expressive designs of Czech body architect, Markéta Kratochvílová, set by James Johnson and lighting by Nich Smith, with direction by Josh Armstrong. To take part in the exclusive pre sale, sign up at kathrynjoseph.co.uk before midnight on Wednesday to receive all the details on Thursday.